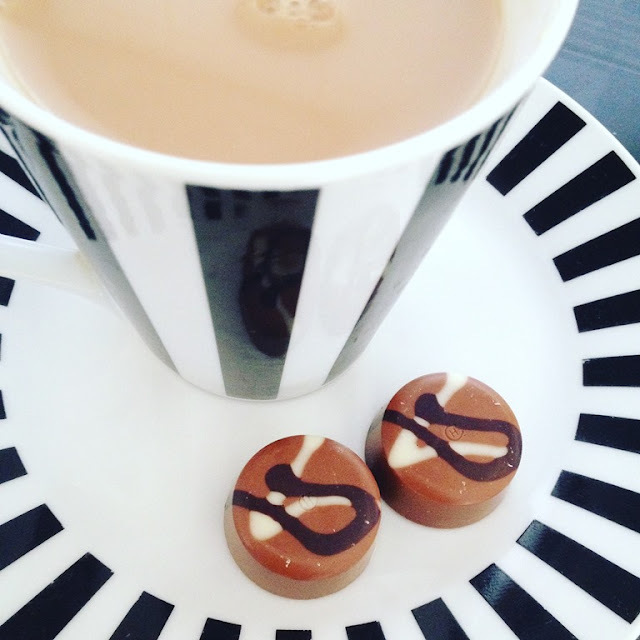 It features one generously sized caramel chocolate Easter Egg and a packet of 6 bite size scrambled pralines - smooth praline encased in deliciously sweet caramel chocolate. Unfortunately for me I made the mistake of showing my seven year old the Easter Egg and he asked (very nicely!) if we could have an early Easter... Who am I to deny my little boy ... well it turns out he adores caramel chocolate and he pretty much devoured the Easter Egg, Hotel Chocolat you have a real fan of yours right here, he LOVED it! Declaring it yummy indeed. As it was a good size egg and fairly rich we did manage to eek the egg out over 3 days which I reckon is great value. I did manage to have a sneaky piece or too - oh by the way I must mention that allow the egg is hollow it is fairly strong, it took a fair few attempts to crack it!! 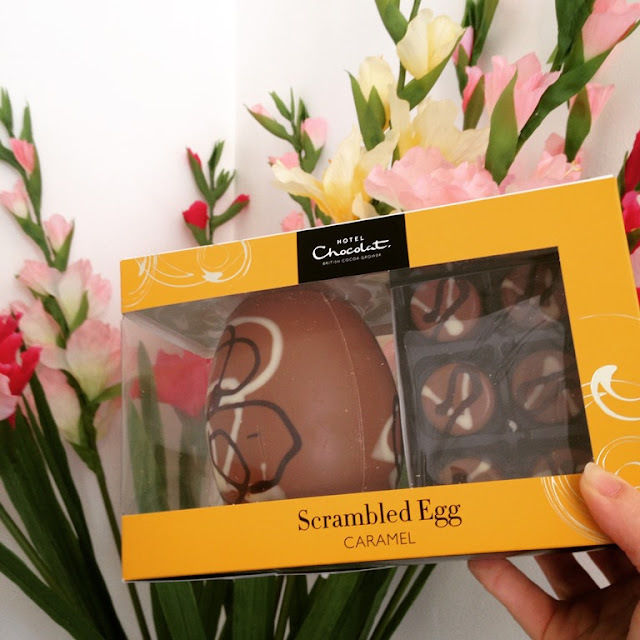 Well we were both completely sold on the Caramel Chocolate Scrambled Easter Egg and I think it is fabulous value and worth every penny at just £15. 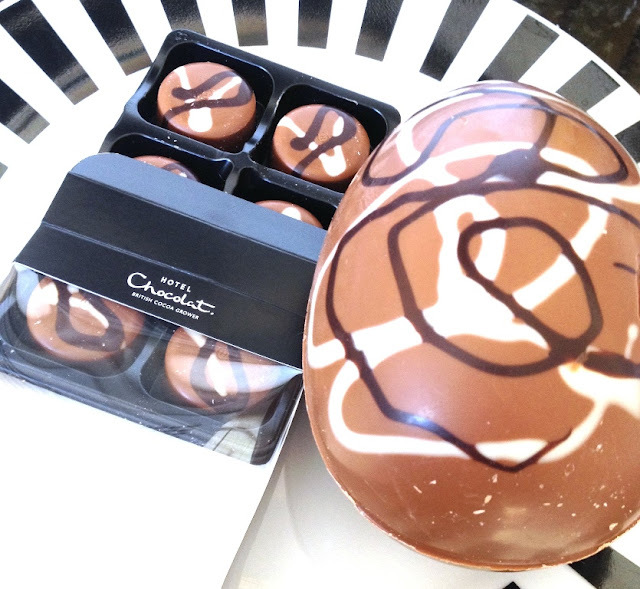 However, I recommend that you should definitely make a visit to a Hotel Chocolat near you or visit their website as there is a huge selection of Easter Eggs & Kiddie treats, something for every budget and taste.